What are the young people wearing in the pub crawl recently? Correct! It is an animal onesie. They not only wear animal onesie to pub crawl, they also wear them at concerts, Halloween, and Christmas. 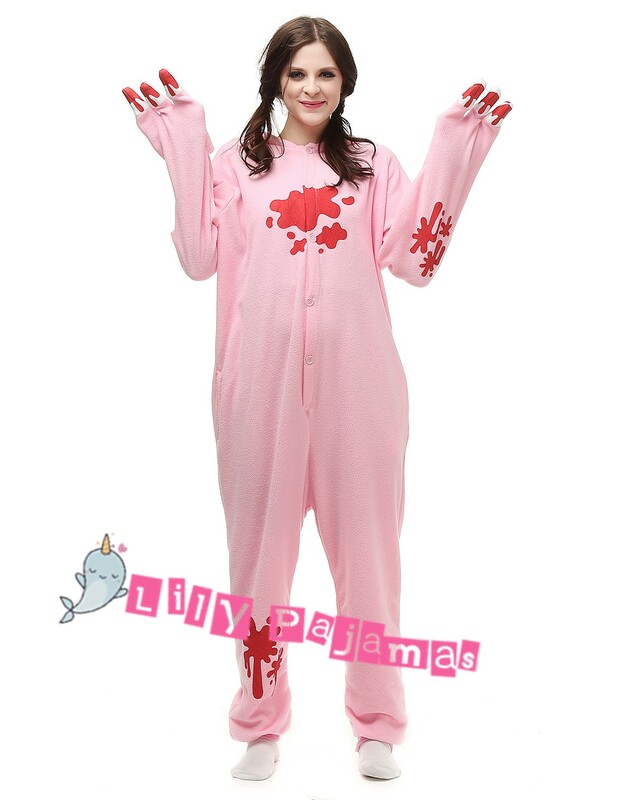 The relaxed animal onesie is not only comfortable, it also makes you very unique. Choose a style that belongs to you, and wear it to pub crawl! All kinds of animal onesies: loose fitting, more flexibility; hooded, adorable and eye-catching; button closure, easy to take on or off. * Material: 100% polar fleece, very soft and comfortable. * Package Inclubed: 1 Pajama (Without Shoes). * Free Shipping：7-15 Business Days. * Standard Shipping(EMS): 5-8 Business Days. Copyright © 2012-2019 Lilypajamas.com All Rights Reserved.